California Highway Patrol officers chased a wanted Atascadero man in North County Tuesday night, eventually arresting the suspect and his passenger. At about 10 p.m., Paso Robles police officers initiated a traffic stop with the suspect on North River Road. Patrick Dale Sandeffer, 30, then fled with officers in pursuit. CHP officers took over the chase at Wellsona Road and the suspect reached speeds of 75 mph, according to a CHP press release. Sandeffer drove over a spike strip, causing one of his tires to deflate. Yet, he failed to stop and turned onto Highway 46 East and then onto Union Road. As Sandeffer fled, a CHP helicopter tracked him from the sky. 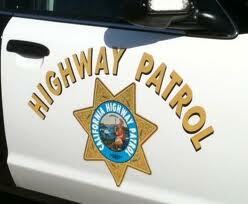 Sandeffer then rammed a CHP vehicle before pulling onto Tuley Road, where he reached a dead-end and came to a stop. He then fled by foot with his dog. Officers quickly caught Sandeffer and arrested him. Sandeffer’s passenger, Raymond Gene Anthony Glove, remained in the vehicle. Authorities seized methamphetamine, marijuana and daggers from the suspects. Officers booked Sandeffer into the San Luis Obispo County Jail on charges of assault with a deadly weapon, DUI, possession of concealed weapons, drug offenses and having multiple warrants. Sandeffer remains in custody with his bail set at $35,000. Officers arrested Glove on drug charges and an outstanding warrant.